Home /Corkonto. Protecting Nature in a Fashionable way! Corkonto. Protecting Nature in a Fashionable way! This isn’t the first time we have blogged about a company who is producing their products in a sustainable and ethical manner. The last time we blogged about a company using a sustainable method to produce their product was Wyilda Af Norden. These companies deserve a massive a shout out and a big thank you for producing their products without damaging the environment and not taking advantage of workers in less developed countries. Another company who deserve a massive shout out and an even bigger thank you is Corkonto. Corkonto is a Portuguese based company who produces various type of products ranging from Handbags to daily essentials made out of sustainably sources Cork. Fun Fact: Portugal is the biggest producer of cork in the world!. Cork is the outer bark (layer) of a cork tree. For the cork tree to continue its growth the outer bark has to be removed or let it naturally fall off. Cork Tree is originally from the Mediterranean and has been identified by the WWF as a priority specie due to its highly economical, environmental and social value that it brings. Another fun fact: In all its total globally, the cork tree forest is the second biggest forest in the world only behind the Amazon forest. The potential uses of the cork yet to be fully discovered, but Corkonto has found one of its potential use, to create fashionable and aesthetic handbags along with other daily essentials which include coasters, bowls and table mats. Corkonto products are very unique and deserves to be highly praised as the designs of the handbags are very desirable. One of our favourite is the Essential Tote Bag. Its simplistic design yet spacious gives you a feel of luxury. 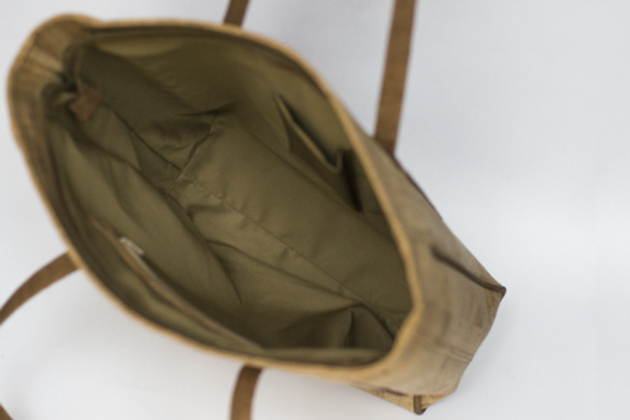 The interior lining of the bag is made out of 100% leather and the bag is made from non-leather, cruelty-free materials using highly skilled manufacturing techniques. Another handbag which we love is the Envelope Clutch. This is just gorgeous. We love the colour of the chain as it really goes well with the colour of the clutch. A must have we would say! Corkonto is not just a company, it is more of a lifestyle. All the daily essentials that you need in your daily life can be found at Corkonto. They strongly believe in their mission of producing Cork products from ethically sourced Cork trees and their product list is still growing! We would definitely encourage you to have a look at their versatile and captivating product range as we think this could the fashion trend in 2017! To learn more about Corkonto and their products do click me and use PERFECT-PRESENT for 30% off now! If you have enjoyed reading this blog post do let me know in the comment below! Kantala. Traditional Handmade Vegan Handbags! This seems like an awesome product and is environmentally conscious. Great find! Wow I had no idea you can make these things out of cork! They are super cute bags and accessories too. Ooooo what lovely bags!!! I have never heard of Corkonto but I’m glad I now do!!!! Thank you The Trophy Wifestyle! I didn’t know Portugal was the biggest producer of cork . I love cork. We had cork floors in our playroom and they were great. Who would have thought that cork would look this stunning on fashion accessories! I love the bags and the wallets, without a doubt. Kudos to this brand, they’re doing a great job! thats nice. it looks elegant tho! i also love corks. this is a great deal! Bags that comes from the bark of a tree looks very fashionable. Its color defies its originality and it is beyond compare. Glad you love them Sarah! I have one of the Satchel and the colour does stand out! I love cork!! I bought a cork bracelet when we were in Portugal because it was the only item I could afford! I would love a bag though. Glad you love them Wanderlust. Cork is really amazing. I did not know about Cork until I came across Corkonto. I had one of the satchel and it is absolutely gorgeous and the colour is amazing! That you Crizzy! Corkonto are actually an awesome brand! I really like individual and environmentally friendly products. They look great, what a cool brand! Thank you GD Blog. Patara is an awesome brand, new yet great!